To celebrate the birthday of their “miracle baby” who was born prematurely, a little man birthday party for Luke was the perfect theme. From mustache and bow tie invitations, party favors and decorations to yummy birthday cakes and delicious treats, this little man birthday party will leave you smiling. 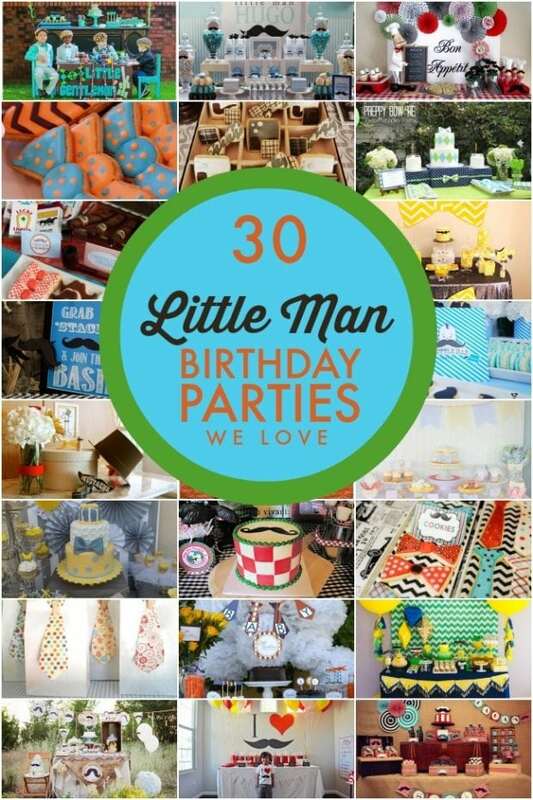 Celebrate your little man in style with these ideas for planning a Little Man Birthday party. You wont want to miss out on this Little Man Southern Gentleman Party. I love all of the manly details, party games and decoration ideas beautifully created and photographed by Luke’s mom, Kathryn Whitaker of Team Whitaker. 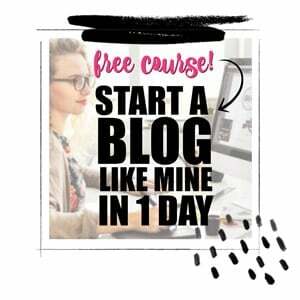 I think you will too. I adore the color scheme chosen for this celebration; aqua, orange and brown make such a striking combination. Mixed with a fun mustache icon and preppy bow ties, the decorations made a perfect setting for celebrating one special little boy. Filled with gorgeous treats and snacks, the dessert table was an adorable part of this little man party. An oversized mustache banner hung over the table, flanked by orange and blue balloons, to further emphasize the party theme. Clever food names made up the menu: Manwiches; Maneater Munchies (cheeseballs); and Chocolate Cigars (chocolate dipped pretzel rods). “Drink Up Mister!” Kool-Aid was served in bottles dressed up in ribbon and fancy paper straws. Little desserts perfect for little men were served up on white platters and cake stands and really popped against the polka-dotted orange table runner. “Pretty boy” cupcakes and “Stache” pops were among the treat offerings, complemented by mustache and bow tie sugar cookies, all by Polkadots. Party activities and games can have a big impact on a celebration. One of the things I loved most about this little man 4th birthday party is the variety of fun, child-friendly and theme coordinating activities. Clever games like “Match the ‘Stache” were played. The boys had to match mustaches and the moms had to try to figure out which ‘stache belonged to which celebrity. “Pin the Mustache on Luke” was a genius DIY game, made from a picture adjusted in Photoshop, enlarged and mounted on foam core board. Laminated mustaches were used over and over again. To let the little gentleman loose for a bit, toy lawnmower races were held. This involved a lot of crazy running around in 95* weather, but it was so much fun! There was a “Make Your Own ‘Stache” craft where little men used pipe cleaners to craft an easy but cute mustache. And, to top off the day, they ended with a mustache piñata, another amazing DIY project made from paper and cereal boxes. Party favors were oh so cute! Using a glass marker, darling mustache mugs were created and baked for little gents to take home. In addition, they received mustache erasers and a themed cookie of their choice; what a fun “stache”! What a great party!